A moving country tribute featuring 30 superstars. ℗ 2016 Country Music Association, Inc.
Great song. Now only if the majority of the artist singing on this would actually listen to Hag, Jones, Cash, Waylon, Willie & Owens and incorporate it into their albums instead of the crap that is coming out today, Country would be a Whole lot better. Congratulations to every artist, manager, label, hair stylist, makeup artist, stylist, producer (audio and video), and so many more - who came together to make this happen. A HUGE undertaking and the CMA did an incredible job pulling it all together to support and promote Country Music around the world! 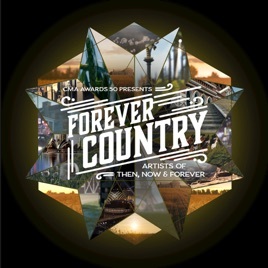 Here's to 50 more years of #ForeverCountry! A beautiful collaboration to create a bridge between old and new country.